The new trend catching up in the prevalent times, when it comes to encouraging expansion plans of luxury car makers, also constitutes the merchandise that they are rolling out for the target audience. Luxury car makers are offering merchandise across categories, the route taken being licensing or simply following a marketing strategy. Ford, BMW, Porsche, Mercedes, Bentley, Lamborghini among other potential players are all into the practice of offering related merchandise, apart from their core activity which remains to be primarily, selling luxury cars. While, Ford ventured into India last year via a licensing agreement with License India, to offer related merchandise in the market, other players are equally buzzing with such activities too. 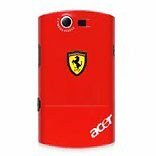 While the Ford merchandise is set to range from apparel, bags to accessories among other things, Ferrari recently came up with a new range of Acer-Ferrari smartphones. These luxury car brands are set to capitalize on the sheer market presence / brand exclusivity that they enjoy in the market. The completely personalised smartphone (Ferrari-Acer) offers sleek interface with fast and smooth navigation through menus and applications, which is in line with Ferrari’s racing spirit. “The new range of Acer smartphones personifies versatility, performance and stylishness. Acer is a pioneer in offering its customers the best in technology and the Snapdragon™ mobile processor from Qualcomm that makes the Liquid E Ferrari special edition a product par excellence,” says S. Rajendran, Chief Marketing Officer, Acer India. “We have a wide range of accessories and we are trying to step up with this business as well. So far, we have fully concentrated on selling cars, now step by step we will focus on the different aspects of business as well. The response has been great for the accessories and the merchandise,” comments Dr. Andreas Schaff, President-BMW India. Schaff shares that there are two important aspects which must be kept in mind while addressing the merchandising part of the business. Firstly, sometimes an existing customer would want to carry a piece of a brand in context along with him. Since, you can’t always take your car everywhere, merchandise and accessories of a potential brand are in a way present on a daily basis. Secondly, you can present this merchandise to people who are not necessarily that brand’s car buyers. For instance, it is a known fact that BMW is a great aspirational brand for people and if one possesses the accessories and related merchandise, it helps to satisfy (in a way) one’s aspiration too. Given the good response from customers with respect to the related merchandise that luxury car makers offer or are planning to offer, the market is set only to grow in the coming times. People have become increasingly conscious about the brands they wear and for that matter even the accessories/merchandise that they carry. At the end, it’s all about the right pricing and the perfect match between the merchandise on offer and the customers’ expectation/perception.